In response, Médecins Sans Frontières/Doctors Without Borders (MSF) is working with the Ministry of Health. We have treated 2,400 patients so far, and supported the vaccination of over 176,600 people. MSF logisitician Daniela Muñoz blogs from Yobe, where she describes the huge undertaking of coordinating this mass vaccination campaign. An MSF worker prepares a meningitis vaccine in Yobe state, Nigeria. 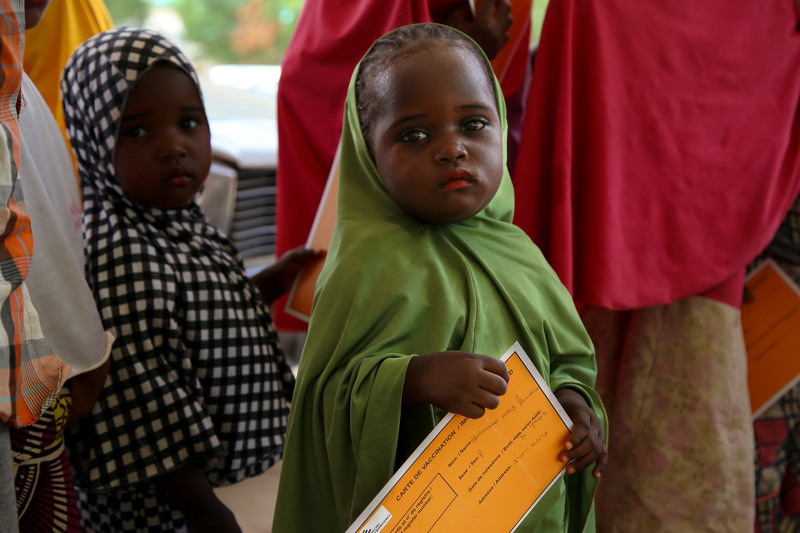 An MSF worker controls a queue of children waiting to be vaccinated against meningitis in Yobe state, Nigeria.